Hurricane Hector, a Category 4 storm, is expected to weaken as it passes south of Hawaii this week, the Central Pacific Hurricane Center in Honolulu said Monday. The center of the storm was located about 1,000 miles south-southeast of Hilo and 1,215 miles south-southeast of Honolulu late Sunday. The hurricane is expected to gain strength before it weakens and bypasses Hawaii. [post_ads]"A motion toward the west-northwest at an increased forward speed is expected through Tuesday, followed by a westward motion Tuesday night through Friday," the Honolulu hurricane center said. Little change in strength is expected for Monday, but some fluctuations in wind speed and a gradual weakening is forecast for Monday night, forecasters said. The hurricane is expected to diverge from directly hitting the Hawaiian Islands. 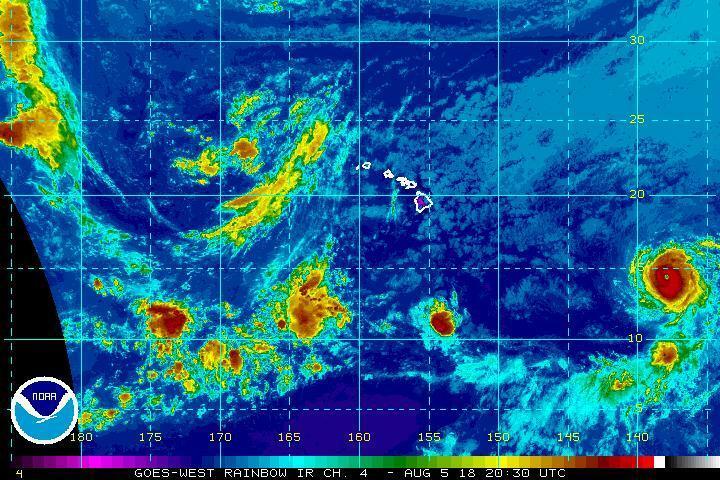 However, forecasters warned late Sunday a slight deviation of its path to the north would significantly increase potential impacts to the state of Hawaii. Earlier, the Hawaii Emergency Management Agency advised residents to prepare an emergency kit that includes at least a 14-day supply of food, water and other supplies.